ALL ABOUT CEIL: Jin Ji Teochew Braised Duck & Kway Chap: Duck Kway Chap Bento, creativity or gimmicky? Jin Ji Teochew Braised Duck & Kway Chap: Duck Kway Chap Bento, creativity or gimmicky? 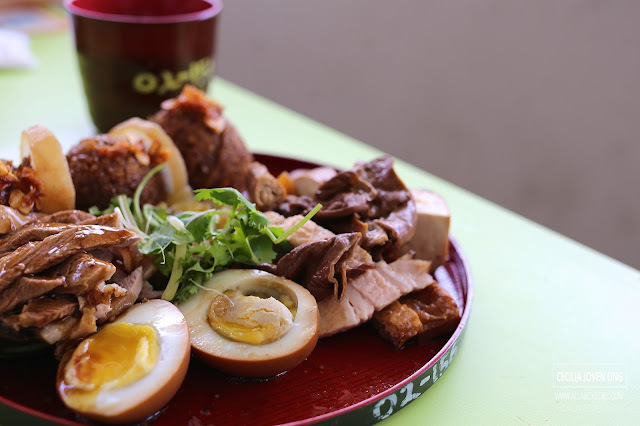 This stall has been around since 1980 for more than 30 years serving Teochew style braised duck and kway chap, it is now managed by the 2nd generation. 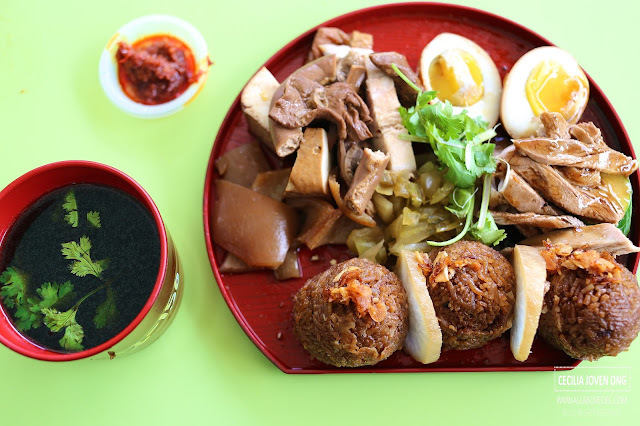 This 2nd generation owner launched this Duck Kway Chap Bento last year and for $8, it comes with 3 pieces of riceballs that made of yam rice with bits of dried shrimps in it together with braised pig's skin, small intestine, braised meat, tau kwa and also braised duck with an onsen egg. 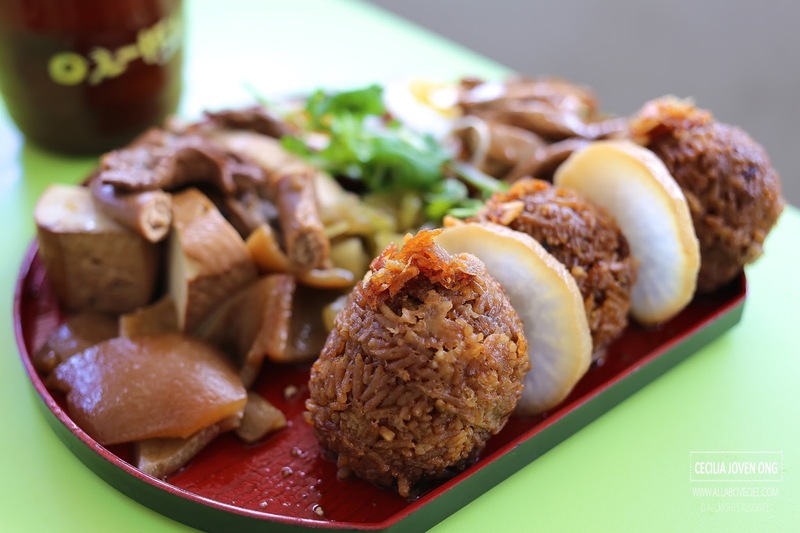 If you order separately, their braised duck rice is at $4.00 and their dry kway chap set with an onsen egg is at $4.00. You have exactly what are served in the bento with an extra bowl of dry kway chap and probably with a bit more of those ingredients. In another word, it is more value for money to order a plate of braised duck rice with their dry kway chap set for the same amount of money which also made their duck bento seems rather gimmicky rather than out of creativity. I also could not help but wonder why were there so many articles by local media and bloggers that raved about their braised duck and kway chap which tasted quite average? Well, taste is subjective and i have definitely tasted much better braised duck and kway chap than that. What is the integrity of sethlui.com?